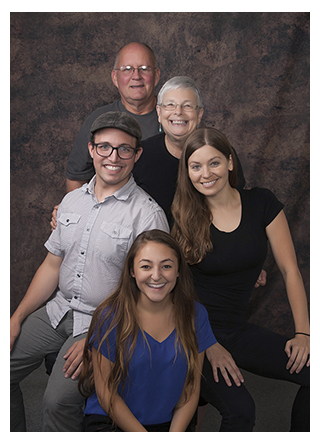 We, at Curtis Photography Studio, specialize in artistic high school seniors, family portraits, children and pets. Our facilities and neighboring environments enables us to take great indoor and outdoor portraits. All our sessions are a one-of-a-kind experience, tailored to you. It is important to us that the look and feel of your images represents you (and your family) perfectly. Our outdoor locations range from around town and beyond. CT, New England, California, Mexico - We are open to accommodating your personalized destination into your photo session!